Astronaut Sergey Ryazansky captured from ISS Bagana Volcano, Solomon Islands. This volcano has erupted more than 30 times since 1842. Solomon Islands is a sovereign state consisting of six major islands and over 900 smaller islands in Oceania lying to the east of Papua New Guinea. 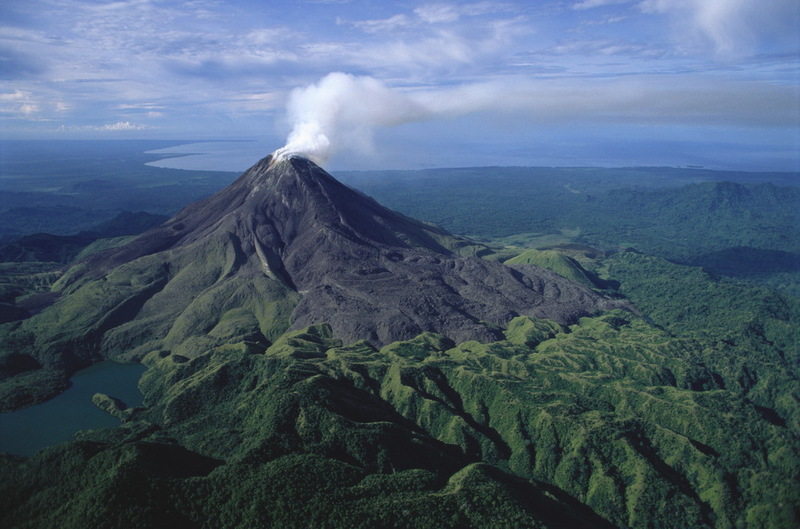 The islands contain several active and dormant volcanoes. Solomon Islands’ per-capita GDP of $600 ranks it as a lesser developed nation, and more than 75% of its labour force is engaged in subsistence and fishing. Other important cash crops and exports include copra and palm oil.